Stylish and chic look! I love your sweater! Leuk, een lekkere simpele basic outfit!! Cool outfit! 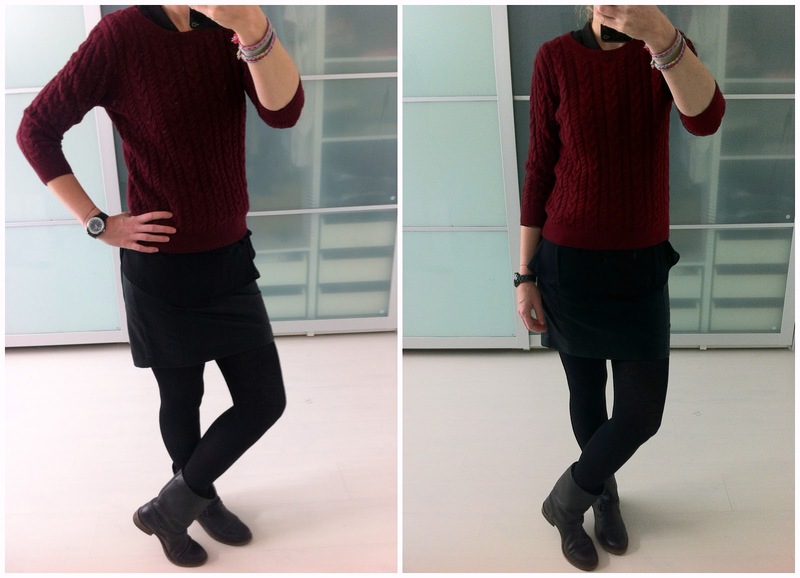 Love burgundy knit and leather skirt worn together. Love the skirt! En de kleur van de trui is ook erg leuk! I like your outfit, styling a classic cable knit sweater with a leather skirt is cool! Beautiful outfit! I love your skirt! happy week end & bisous x! I follow you under the name of Judit Törtei. Pretty simple but a great set! I love it! Gorgeous, I love everything, the shape, textures and colors!